Please give a big welcome to RON ESTRADA. rem: Welcome Ron! Tell us a little about yourself. Where were you raised? Where do you live now? RON: Tricky question. I was a navy brat, so I was raised from Hawaii to Virginia and points in between. I loved that life! I saw the whole country by the time I was in 7th grade. Now I live in Oxford, Michigan. Apparently I was sick of warm weather and sunshine. rem: Air Force brat here, and I went coast to coast – Mississippi to SC to California and back to Mississippi – before I was born! Tell us three things about yourself. I was in the navy myself and went around the world once, through the Panama Canal and everything. I’ve been married for 25 years and it sure doesn’t feel like we’re that old! I love “camping” in our 29ft travel trailer. My dream is to travel and write my novels out of the trailer. rem: Great dream to have! And doable, too. Which book have you read the most in your lifetime? RON: I rarely read a book twice. But I probably would read Watership Down again. Possibly my all time favorite. RON: My Macbook! How did I live without one for so long? rem: Not a Mac, but same question re my laptop. What is your greatest fear? RON: That my children will drift away from Christ. But, at 19 and 21, there’s no sign of that being a problem. They’re probably more worried about me. rem: Sounds like you and your wife have laid a solid foundation for them; I bow to you, Sir. What is your greatest regret? rem: Man, oh man, can I relate to that… What is your favourite quotation and why? It sums up what freedom really means. We are free to make good decisions and bad. Too many people today don’t want that responsibility. I fear America is becoming the government we once rebelled against. rem: Good quote, and valid point. What do you most value in a friend? RON: Someone who will call me out when I’m messing up. God has set high standards for me. A good friend would hold me accountable. rem: We all need that, even if we [ahem] resent it at times. What quality do you most admire in a man or woman? rem: They are not mutually exclusive as some might assume. Dogs. Whoever said that cats were quiet, clean animals has never owned one. After my hour of drafting, I edit the previous novel for an hour. This way, since I write series, I can always fix things as I go to make sure everything lines up. I use my lunch hour at work to outline my next novel. So, actually, I’m always working on 3 at the same time, just in different stages. My goal is to put out a novel every three months. So far, I’m hitting it. rem: That’s impressive – and so structured; must be the Navy training! What are your Top Writing Tips? RON: Get through the first draft as quickly as possible. Don’t edit. Don’t fact check. It’ll be horrible, but you’ll finish. And by the time you do, you’ll know how to fix your characters and plot. Speaking of…learn to plot. I love pansters, I really do, but I think there are extremely few people who can get away with it. Most just write themselves into a corner and give up on a project. At least plot the major plot points on a sheet of paper. Now, at least, you’re not writing blind. rem: Yes, well, die-hard Pantzer here – maybe about 10% plotter. Tell us a little about your writing journey. RON: Typical, I think. Wrote as a teen. Gave up. Life life life. Started again when I was around 30. Got some magazine articles published. I wrote novels, badly, off and on. I spent 15 years writing 4 novels, then in 2004, wrote the next 4. That’s when things started to click. I actually applied the things I’d learned. I made half-hearted attempts at traditional publishing. My problem is that I rebelliously prefer to be in command of my own destiny. When indie publication took off, I knew I’d found a home. I published my first two books of the Cherry Hill series this year, and will have two more published by Christmas (try that with a trad publisher!). I’m already planning the next series, which will be a darker turn into the paranormal, but with a Christian flavour. rem: “…I rebelliously prefer to be in command of my own destiny…” I think we all do to some degree. What do you enjoy most about being a writer? RON: The freedom, I think. Someone once said that writing is the purest form of art. We have only our words to paint a picture. I love spinning a tale and knowing that it’s good, because I’ve taken the time to learn the craft and I can have that confidence (and, of course, humility). RON: Getting noticed! The onset of ebooks means that anyone can publish a book. Unfortunately, anyone is publishing a book. It’s difficult to get noticed by the reading public. I suppose it’s always been the case, but all authors have to work ten times as hard these days to give away a book, let alone sell one. rem: I know that’s true! Sheesh! What was the hardest thing about publishing? The easiest? RON: The hardest thing about publishing is patience. Whether you go indie or traditional, you have to take the steps to learn and grow as an author. Going back to the glut of indie books, one of the biggest problems is new writers self-publishing their first attempt at a novel. It gives indies a black eye and is the reason self-publishing has a poor reputation. I might have done the same thing back in the day, because I thought my first book was golden. Now I look at it and wince. Not pretty. The easiest thing about publishing, to me anyway, is letting go of that last book and moving on. Must be because I’m a man. We shove our kids out the door when they’re old enough and let ‘em fly on their own. Same thing with my novels. The more I publish, the easier it gets to let them go and not spend two years editing them to a bloody pulp. rem: Ah, patience. [UGH] What advice would you give to aspiring authors for writing and/or publishing? RON: Learn. Your. Craft. I heard a good quote today. An amateur works at something until he gets it right. A professional works at it until he can’t get it wrong. That’s what you have to do. Don’t just say “good enough” at some point and start cranking out books. You can never stop learning. When you do, fold up the Macbook. Time to retire. rem: I could not agree more! I’ve written for years, created them even longer. When I published my first novel, Tessa, last year, I was clueless of how to go about it, i.e. editing, etc. I just threw her out there. I’ve learned much in the past year, and now working on the sequel, Clara Bess; while she’s with my editor, Tessa will have some serious revisions done. Most authors I know dread the marketing required, yet you say you’re a “marketing junkie.” What’s your marketing strategy and what would you suggest for other Indie authors? RON: My marketing “strategy” is to be adaptable. We claim that things change too rapidly with the internet, but marketing has always been like that. Blogs worked two years ago. Now you can’t get your own mother to read it. So you look at other sources. You find your audience. They’re out there. You’ve got everything from Facebook to Twitter to Wattpad and a dozen others to work in. And yes, you may have to pay for ads. Welcome to the big leagues. Anyone who wants to sell anything will have to pay for advertising. You either pay a publisher the cover price of the book to do it, or you shell out a few hundred bucks and do it yourself. Facebook ads aren’t that bad when compared to other sources. The one long term strategy I have is to set up my website as a sales page. Blogs are on life support if not dead. So use the website to showcase your books. And give something away free to build you mailing list. It’s the one thing you control. Once you have a few thousand subscribers, nothing Amazon or Facebook does will matter to you. Right now I’m primarily focused on Wattpad and Instagram, because that’s where my YA audience lives. You have to get active, though. Both are social media. So socialize. It’s hard work, but marketing always has been. Did you start out as an Indie author? What made you decide to go Indie? RON: No. I tried to go traditional for a long time. To be honest, I just despised all the letter writing and proposals and all that. I’m a firm believer in “value added” work. Meaning that every word I write (even these) is to advance my career or go into a book. I like to have control. Right now I’m trying to decide whether to write my next series as full novels or in a serial. You could never make that decision on your own with trad publishing, not before Amazon. Now we can break all the “rules” and find out what works best for us. I love it. And yeah, I may fail, but it won’t be because one person in a publishing house didn’t like my book or a publisher decided to cut its fiction line just before my book was scheduled to launch. I think I’ll succeed because I’ll just keep working until I do. But either way, it’s all on my terms and by my work. That’s the way I like it. rem: Gotta confess, I feel the same way about query letters. Then again, I never got the coveted contract from any of mine. RON: Who knows? We’re writers. It’s the way our brains work. Everyone walks by a thousand story ideas every day. A writer manages to hold on to three or four. rem: Exactly! Do you have a favorite book or work that you’ve written? If so, why? RON: Angel ‘n Me, the second book in my series, is special to me. I wrote most of it during NaNoWriMo last year, and I discovered that I can write fast and write a good story. Okay, I plotted the heck out of it beforehand, but that was another valuable lesson. And it was really just a fun book. A total rip off of “All of Me,” except the rolls of Steve Martin and Lily Tomlin are filled in by teenagers. It was a blast. So far, my readers agree. rem: Love that movie! Who are your favorite authors to read? What is your favorite genre to read? RON: I’m all over the map. I grew up on Stephen King, though I’ve given up on him now. These days I’ve been enjoying guys like John Green and Gary Schmidt (fantastic middle grade). Though lately I’ve been slipping back to my paranormal roots. My next series will go darkly paranormal except, unlike other authors, God will have a say in the matter and faith will win the day. rem: Talk a little bit about Teen Writers Publish! What inspired it and what does it involve? RON: A weak moment? I’ve become a podcast junkie over the last year or so. There are some great author podcasts out there. 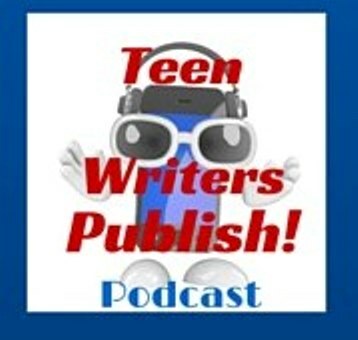 After teaming up with Gina Conroy, who teaches writing classes to kids, and since I write YA at the moment, we came up with the idea of a writing podcast for teenagers. I couldn’t believe it when I couldn’t find an active podcast on that topic (I’m telling you, podcasting is the new blogging). So I figured out how to make it all work. And yes, there is substantially more learning to do than in setting up a blog. Gina provides the nice “radio” voice and teaching ability. We record a couple shows on available Saturdays or interview someone. All this is done with Skype and a neat little recording program. I edit in Audacity and run the show through several other hoops to get it ready for broadcasting, then post it on Libsyn. You can’t post a podcast on your WordPress site, they’re too big. I learned all this from a great guy who has free videos at podcastincubator.com. You can pay for more advanced training, but the six free videos are fantastic. I still had to write down each step in OneNote so I can repeat them, but it’s not so hard once you get rolling. rem: That’s impressive. I am not ready to take that plunge – which is weird ‘cause also I’m an actress; you’d think I’d be ok hearing my voice on a podcast! Tell us a little about your latest book? What is your current project? RON: I’m working on book 4 of the Cherry Hill Series while editing book 3. They are actually a two-book series within the series. Cherry Hill starts out fairly normal in book 1 and things get progressively weird from that point on. Book 3 is called Cassandra’s Crossing and it involves some magic and time travel. After that gets all screwed up, Lydia Leach has to straighten things out in Book 4, Lydia’s Way. I’m waiting to see how sales go before deciding on book 5. In the meantime, I’m plotting my possible serial novel, Night Moves, about a Detroit Gang Unit detective who stumbles upon a gang that enjoys calling up demons to possess their drug-abusing victims. Fun, huh? rem: I know that feeling! Not so much the productive part, but the stories clamoring for attention. What is one take-away from your book(s) that you hope readers identify with? RON: That we need to look past the outer layers of the people around us. Authors already know this, but people aren’t just bad or good, there’s layers beneath that we never see. We have to work hard to find them, but the payoff is amazing! rem: Since my stories deal with identity, I’d have to agree with you on that! Thank you, Ron for being on my blog this week. Please give a big welcome to DAN WALSH. rem: Welcome Dan! Tell us a little about yourself. Where were you raised? Where do you live now? DAN: I am 58 years old. I’ve been married to the only woman I’ve ever loved for 38 years. We have two grown children, both married, and two grandchildren. Thankfully, they all live within ten minutes of us. I was born in Philadelphia, but feel like I was raised more in Florida, since we came here in 1965 when my father was hired to work on the Apollo Space Program. We moved to the Daytona Beach area, and I’ve lived here ever since. rem: I’ve never been to Philly but lived in Jacksonville for a short while when I was a little girl. [ps – I just read The Discovery which is set in Daytona; fantastic read!] Also, congratulations on 38 years of marriage. I was a long-haired surfer bum from the 10th grade until the end of my senior year, when I met Cindi, the woman I would marry. I planted a church in 1985 and remained the senior pastor of that church for the next 25 years. I have an adventurous imagination, but in real life I tend to play it safe. rem: I think most writers have an uncontained imagination – thankful we don’t do what we write about! What is your most treasured possession? DAN: My relationship with the Lord and my wife. My kids and grandkids come next. I have some nice things, but none that I treasure. rem: I really like that answer, people value above things. What is your greatest fear? DAN: Thankfully, my life is not ruled by fear. But I sometimes fear how we will manage financially in our old age. It’s not that far away. Between 2008 and 2010, our pension fund got creamed and we don’t have enough years to make up the loss. However, God has taken care of us through every age. I’m confident he will come through in the days ahead, if I live that long. rem: He always does, doesn’t He? I’m amazed at some of the surprising and seemingly small ways He provides. What is your greatest regret? DAN: Trusting some people I thought were friends, but who turned out not to be. I could add to that, not listening to my wife’s concerns about this as soon as she began to raise them (she saw it all coming way before I did). Had I listened, we’d have been spared a great deal of heartache (and financial loss). rem: I’m a very trusting soul also, until given reason not to. rem: Well, that just makes sense! LOL What do you most value in a friend? DAN: Honesty, loyalty and integrity. DAN: Probably humility, after that integrity. DAN: Dogs, totally. We’ve had at least one since 6 weeks after we got married (have 3 now). DAN: I spend the morning doing my non-creative writing tasks, such as interviews, emails and social media. Then I take a short lunch break, usually less than thirty minutes. My goal each afternoon is to write one keeper chapter in whatever book I’m working on. I usually start off reviewing and editing the chapter from the day before, then just pick up where I left off. rem: Good plan. I see plenty who advocate writing first thing each day – my brain needs the extraneous things cleared out first, else they’re “hanging over my head” and interfere with my writing. DAN: Refer to the writing quote above as Tip #1. Probably the next thing would be to put 80% (or more) of your time into learning how to write a great book, only 20% (or less) on things like marketing and social media. A great book is your best asset. No amount of marketing can make up for mediocre writing or a mediocre story. rem: So very true! It’s all about the writing. Tell us a little about your writing journey. DAN: I wanted to write novels as early as the 11th grade, but life took me in a different direction. I never gave up on the idea all those years, but I didn’t have time to pursue it. In 2007, since my kids were grown, my wife suggested I take it up again as a hobby. I finished my first book that summer, a Christmas story called The Unfinished Gift. I spent the next six months cleaning it up and getting it ready for publishing. I sent out my first three proposals to A-list literary agents, expecting the rejections to begin. Two of the three loved what I sent and wanted to read the whole book. I signed with one of them who had a contract with a major publisher in 2 months. It came out in 2009 and did very well, winning 2 Carol Awards (Best Debut Novel, Best Historical). That began a journey where I received contracts for 13 more novels over the next 6 years. The books did well enough that I could retire from pastoral ministry in 2010 and write full-time. This year, I’ve made the move to start publishing my own books, responding to the major changes going on within the publishing world. rem: Fantastic journey, says I! And welcome to the Indie side of publishing! What do you enjoy most about being a writer? DAN: I guess it’s the idea of being able to do something that you love for a living. I also enjoy reading all the emails and reviews from people who love my books. rem: A quote comes to mind: “Do [as a career] what you love doing and you’ll never work a day in your life.” Not to say there’s no work involved in writing, there is, and a lot of it. But personally, I don’t really mind it! DAN: Lately, I guess, it’s all the uncertainty going on in the publishing industry. Nothing is the same as it was when I started in 2009. It’s like I’ve come in at the tail end of a century-long publishing tradition, which is now completely unravelling. Reminds me how it must’ve been when the horse and buggy finally gave way to the automobile. rem: Great analogy! What was the hardest thing about publishing? The easiest? DAN: I suppose now it would be marketing. It used to be so simple. My publisher would get my books in the bookstore. Readers would find them, and buy them. Now, the overwhelming majority of readers aren’t shopping in retail bookstores. They’re shopping online. As a bookstore, Amazon is the size of an entire mall. It’s much harder for readers to find your books than before. For example, with my traditional books I averaged about 20,000 readers (my Christmas books way more). My first indie book so far has reached just over 7,000. It’s not so bad, money-wise because I make 3x the money on each book now, but I wish there was a way to connect with those other 13,000 folks (since they used to buy my books as soon as they came out). What’s the easiest thing about publishing? I don’t have an answer for that. I guess I could say, it’s never been easier to get your book published, since self-publishing is no longer considered a bad thing. But still, that doesn’t mean you’ll get people to read your book once it’s published (so, we’re back to the hardest thing). rem: Again, great analogy! And ugh to marketing, although I find I don’t mind it as mch as I did at first. If you could choose to be a character in a book, who would it be and why? DAN: I guess it would be a guy just like me, only in better shape, with a solid pension fund, and all of my 20,000 readers buying my indie books (and new readers being added every day). How’s that? (See, I told you…I’m not the adventurous type). rem: Sounds like a cool dude. Where do you get your greatest ideas for writing? DAN: I just finished my 16th novel. I don’t think the story of how the idea came to me is the same for any one of them. Here are some examples. My first novel came to me after watching one of the Christmas movies I love and watch every year. I thought, I wish I could come up with a story that had the potential to affect people the way these movies affect me. One of my book ideas came as I watched the history channel. Another came as my wife and I chatted at a Cracker Barrel about some of the different jobs she had before our kids were born. See what I mean? No pattern here. rem: I’m the same way, story ideas sprout of the most random things. You have written so many books, do you have a favorite book or work that you’ve written? If so, why? DAN: I’m happy to say, I really loved writing them all. I’ve heard some writers say they wish they could buy all the copies of some of their earlier books and burn them. Thankfully, I don’t have any regrets like that. In fact, my first novel is still one of my favorites. But I suppose if I had to pick one that stands a little bit taller than the rest, it might be The Reunion. It’s one of my highest reviewed novels, and I cried the whole time I wrote the ending (in a good way). A couple of other favorites would be The Discovery and The Deepest Waters. rem: Isn’t it amazing that we, as writers, the creators of our stories, can get so emotionally involved! Who are your favorite authors to read? What is your favorite genre to read? DAN: I love reading the books written by the duo Preston & Child. They’re suspense novels. It’s kind of odd in a way…I’m known for writing books that are more like those of Nicholas Sparks (but with better endings), but those aren’t the kind of books I read. I love watching movies in that genre, but I mostly like to read suspense novels. Either that, or well written books about history. rem: I must confess, I am not familiar with their work – but a peek at their website makes me think I need to be! 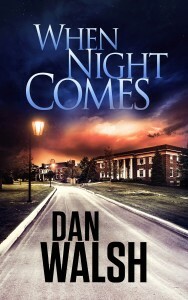 DAN: My latest novel is also my first true-suspense novel, called When Night Comes. It’s something of a departure from my Sparks-like books (although I’ve included a love story thread). It reads more like a clean, mystery-thriller. I’m really happy with the way readers have responded to it. My hope was to be able to write both kinds of books going forward. Now, I can. rem: That cover really draws me in. DAN: As for my current project…I just finished the first book in a new trilogy, called Rescuing Finley. It’s about a dog whose owner was killed in Afghanistan. The grieving mother brings Finley down to the local Humane Society. Eventually, he’s brought to a prison program where female inmates train shelter dogs to become service dogs for Wounded Warriors. Finley will actually wind up rescuing the former meth addict who trains him and an Afghan war vet with PTSD who adopts him. The two of them might just fall in love. 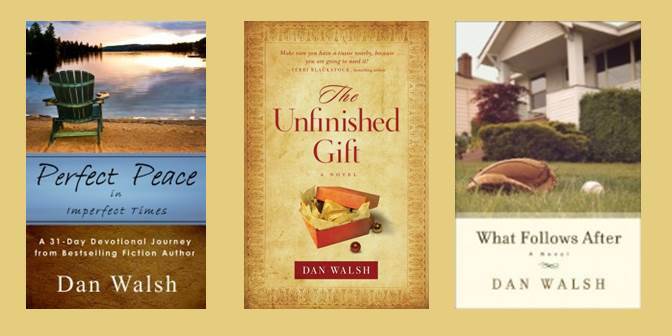 DAN: Some of my books have a strong emotional punch and a clear spiritual theme. Others are more of a fun, clean read. My goal, whether writing contemporary or historical, inspirational or suspense, is that my readers would feel totally satisfied and thoroughly entertained when they turn the final page. Maybe enough to tell a friend about the book and go right back on the internet to order another. rem: Oh, I’ll definitely be telling i.e. reviewing, and reading more of your books! 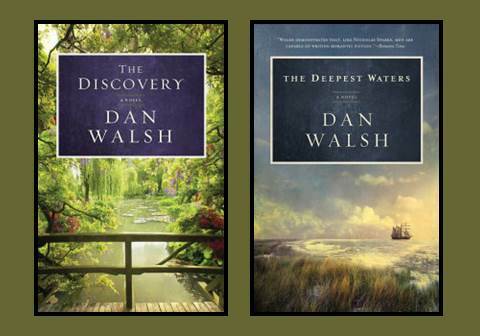 Dan Walsh is the bestselling author of 15 novels including The Unfinished Gift, The Discovery and When Night Comes. He’s been a finalist for 6 Carol Awards and won 3, the winner of 3 Selah Awards and 3 of his books have been finalists for RT’s Inspirational Book of the Year. 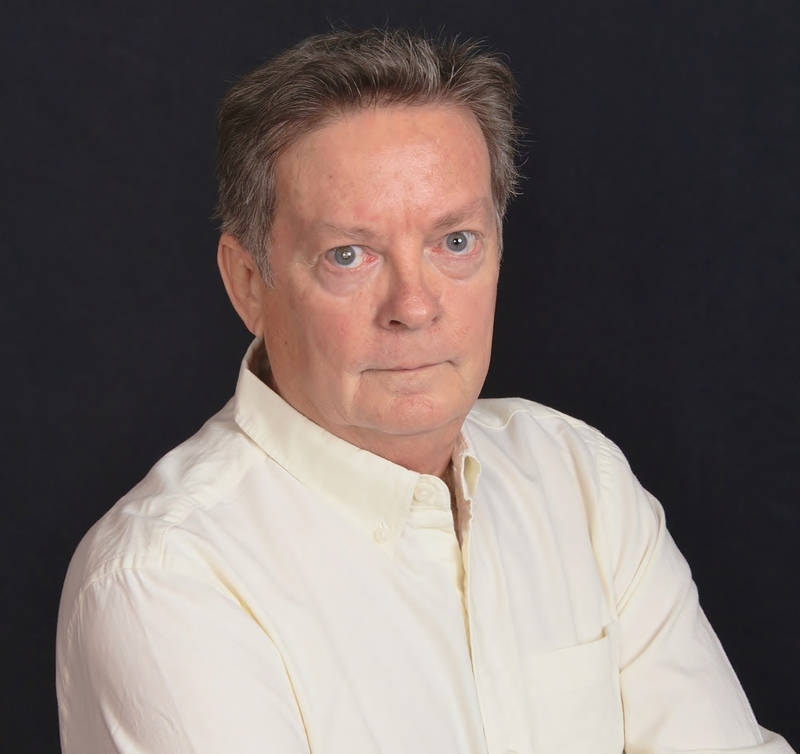 A member of American Christian Fiction Writers (ACFW) and Word Weavers International, Dan writes fulltime in the Daytona Beach area. He and his wife Cindi have been married 38 years and have 2 grown children and 2 grandchildren. 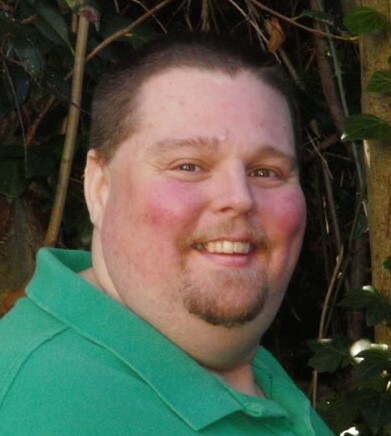 You can find out more about his books or follow him on Facebook, Twitter, Goodreads or Pinterest from his website at http://www.danwalshbooks.com. A mother’s hope. How do you ever give up hope of seeing your son again? That was what Maggie Lansgston fought every day for twenty years. Well-meaning people, family and friends – her husband even – urged her to let go. To move on. But it was her son. How do you let go of your son? How do you let go of hope? Laney Ellerby, however, had suffered no such loss. Struggled daily with no such angst or agony. Nor did she cling to shredded hope. Laney Ellerby had a son – an adopted son. Is he the same boy who went missing from Maggie Langston’s life? But Laney hides a secret of her own, a past she’s not forgotten. Nor shared with her husband. What happens when their paths cross? Where does their journey take them, on their quest for the truth? How does hope survive against all odds? As one mother helps the other face the past – one with loss, one with a secret – a friendship and bond emerges. And faith blossoms. Once again, Ms. Merritt has crafted a story with such depth, with unexpected twists. Life throws the unexpected at all of us, and in The Moon Has No Light, one unexpected circumstance and situation after another add up to a gripping story. I tore through this story, looking for answers – as each of the women did – the questions pushing me to keep turning pages. Marian grew up in south Louisiana in a small community south of New Orleans, Louisiana. Her love for the written word began while sitting on her grandparent’s front porch swing reading books. The stories allowed her to meet interesting people, took her to far away places and challenged her to think beyond her own world. Marian has a Bachelor of Science degree in physical therapy and an accounting certificate from the University of South Alabama. 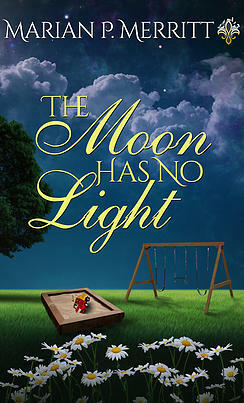 She is a member of American Christian Fiction Writers and Women’s Fiction Writers Association. She hones her writing skills by attending writer’s conferences/retreats and reading many books on the craft of writing. 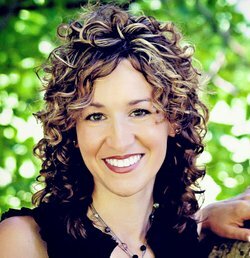 Marian writes from her home in Colorado which she shares with her husband and a labradoodle, named Chili. While this bayou girl loves the mountains and, most of the time, the snow, her Southern roots won’t let her wear white after Labor Day. She still says y’all and can make a killer roux. She misses her family, fresh seafood, Cajun cooking, and King cakes. Proof that you can take the girl out of the south, but not the southern out of the girl! Please give a big welcome to MICHAEL MURPHY. rem: Hullo Michael! Welcome to my blog! Tell us a little about yourself. Where were you raised? Where do you live now? Michael: I was born in South Dakota but spent most of my life in Arizona where I currently live with my wife of 43 years, our four dogs, a feral cat, a handful of chickens and our five kids. Michael: Two years ago my wife and I adopted five of our grandchildren now ages 16, 11, 9, 9 and 4. The adoptions have changed our lives and theirs. Having raised two children many years ago, it’s an interesting experience to say the least. Although people commend us for taking on this responsibility, these kids have given my wife and I joy and love we wouldn’t have experienced again. It’s been a delight to watch them grow and adjust to their new lives. And my wife and I get to watch all those great old Disney movies we haven’t seen in forty years. rem: That’s remarkable. I know they are a joy to you and your wife. What is your most treasured possession? Michael: My most treasured possession is my original Goodbye Emily manuscript autographed by two Woodstock icons, Country Joe McDonald and Wavy Gravy. rem: Your original manuscript AND signed by two icons! Can’t beat that! What is your greatest fear? Michael: Nothing much, just the future of mankind. J There are parallels between the world’s economic collapse in the 1930’s and today’s world, most notable and most troubling is the growing gap between the have and the have nots. rem: It’s a scary world. And yes, the parallels are uncanny. What is your greatest regret? Michael: Setting aside my writing aspirations in my early twenties. I didn’t start writing again until my late forties. Since then I’ve had ten novels published. rem: You’re ahead of me! I didn’t start writing til my mid [ahem] fifties! Michael: I value anything a friend can provide. I read somewhere that friends, good friends, are like four leave clovers, hard to find but when you do, they should be cherished. rem: Cherished indeed. And every friend brings something different. What quality do you most admire in a man or woman? Michael: I admired people who take chances in life, who leap into the unknown. It took me years to appreciate that in myself so I could take chances in life. rem: Indeed! As I said earlier, in my mid-fifties… What do you do as a hobby? Michael: My wife and I raise chickens in the backyard. We actually get eggs, they’re organic because they’re fed well, but I once computed the cost of a dozen eggs at just over forty dollars. rem: Them’s some darn good eggs! Dogs or Cats? Which do you prefer? Michael: Definitely dogs, but cats like me for some reason. Michael: With five kids in the house writing is anything but routine. However I learned early in my writing career, the most important part of writing is the creative part that comes from the subconscious. I get my best ideas and solutions from sleeping or jogging. After the subconscious has done its work, the rest is just a mechanical process. Michael: Three important lessons 1) forget about writing what you know, write what you love and in the genre of what you read. 2) Don’t be intimidated by the prospect of writing a 70,000 word novel. Break it down into the essential component of fiction, the scene, and write a 250-500 word scene; then another and another. 3) The most important part of writing is rewriting, so get started and keep going without stopping to agonize about what you’ve written. When you’re “done”, rewrite, rewrite, rewrite. rem: Good stuff. Tell us a little about your writing journey. Michael: As I mentioned before, my writer’s journey was interrupted by the need to earn a living, so I concentrated on business for the next thirty years. In 1999 I wrote my first novel, The Class of ’68. I finished a year later and it was published by Wings ePress in 2007. My writing career evolved for the best when I landed a terrific literary agency, Dawn Dowdle, who founded Blue Ridge Literary Agency. She’s a fabulous editor and works magic with publishers. rem: Gotta love when it takes off! What do you enjoy most about being a writer? Michael: Interacting with readers who’ve shared with me their thoughts about my novels. I cherish deeply those people who take the time to post reviews on Amazon, Goodreads etc. Michael: Balancing writing and promoting what I’ve written. I’m not unique in this, promoting is increasingly a writer’s responsibility. rem: I heard that! Promoting / marketing, not my cup of tea! What was the hardest thing about publishing? The easiest? Michael: Since 2007, I’ve had a number of publishers. With my Jake and Laura series, I was fortunate to land with Alibi, Penguin Random House’s mystery ebook division. From editing to promotion they offer a fabulous team of professionals. rem: What advice would you give to aspiring authors for writing and/or publishing? Michael: Join a critique group to hone your craft and don’t be in a hurry to get your finished novel published. I can’t stress that enough. Set your “completed” manuscript aside for a month or two and go back and rewrite it. Do this several times. rem: Interaction with critique partners is invaluable. If you could choose to be a character in a book, who would it be and why? Michael: Nelson DeMille’s John Corey. He’s smart, tough and funny, traits I can only hope to achieve one day. Wait, I’m kind of funny. rem: And your humor shows in your writing! Where do you get your greatest ideas for writing? Michael: My greatest ideas come to me at the least expected time. There’s that subconscious working again. rem: Mine too, random moments, random phrases. You have so many books out, and I must confess, your Jake and Laura series is what first caught my eye. What prompted this series? Tell us about your other works. Michael: The Jake and Laura series was inspired by a Turner Classic Movies Thin Man marathon one summer afternoon. I’d seen most of the movies and read Dashiell Hammet’s The Thin Man, but watching them all made me really appreciate the interaction between William Powell and Myrna Loy. In The Yankee Club, set in New York during the end of Prohibition, I created Jake Donovan, a former Pinkerton detective turned mystery writer and Laura Wilson a successful Broadway actresses. Jake never seems to be able to escape his gumshoe days so they both get involved in crime and murder investigations. 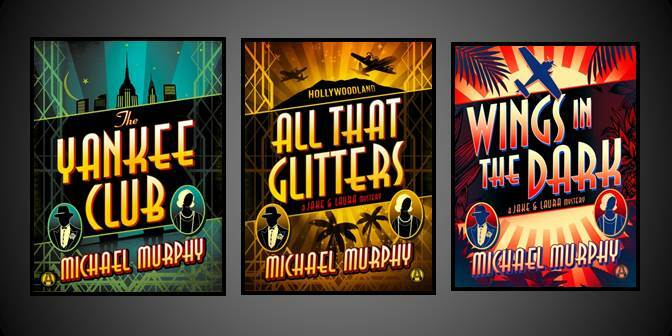 In All That Glitters, Jake and Laura travel to Hollywood where William Powell, among others makes an appearance. My novel before the Jake and Laura series was Goodbye Emily, a look at the Woodstock generation today and a look back at the 1969 music festival. rem: I love that Dashiel Hammet – and Cole Porter – showed up in The Yankee Club! Makes for more interesting and realistic reading. Your latest in the series, Wings in the Dark, released on Tuesday. Tell us a little about that? Michael: Wings in the Dark takes place in Hawaii in January of 1935. Jake and Laura finally get married and are enjoying their honeymoon in a beachfront cabana, but when Laura’s friend Amelia Earhart gets in trouble, it’s Jake and Laura to the rescue and romance takes a vacation. rem: And now Amelia Earhart! What’s coming next? Michael: In February of 2016 comes book four in the series, The Big Brush-Off. Unlike the first three that take the reader to New York, Hollywood and Hawaii during the 1930’s, this novel is set in a small town in Pennsylvania. While Laura has become a Hollywood star of screwball comedies, Jake’s writing is at a crossroads. He tries to revive his career and with Laura’s help solve a crime he was unable to crack ten years earlier. After this novel, I’m hoping to continue my Jake and Laura series as America fights to get out of the Depression as war clouds loom in Europe and Asia. rem: I can’t wait to read them all! Michael, thanks for being with us today. 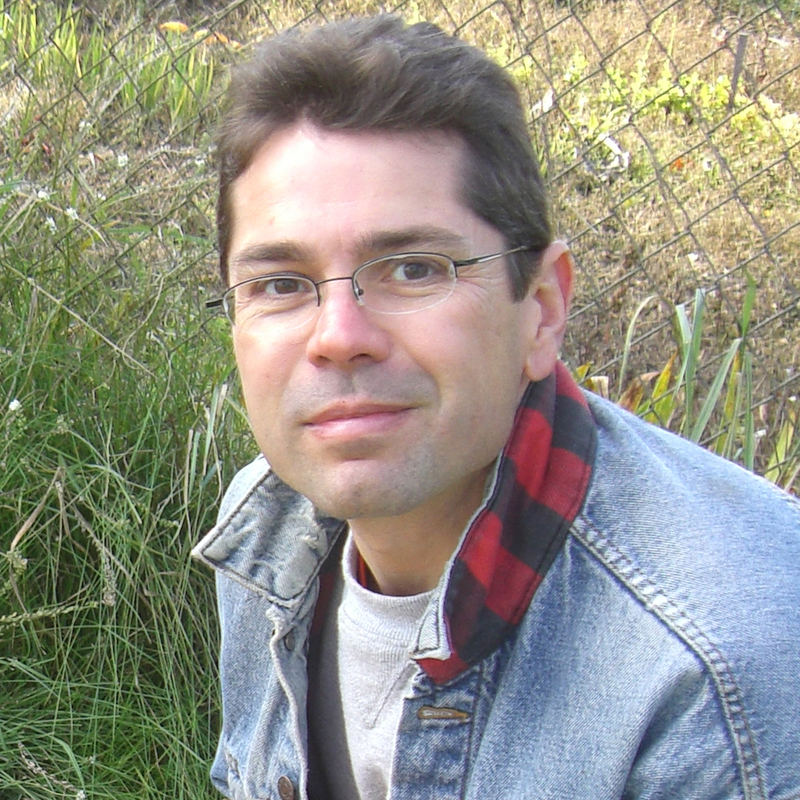 Michael Murphy is a full-time writer and part-time urban chicken rancher. He lives in Arizona with his wife of more than forty years and the five children they adopted recently. He’s active in several local writers’ groups and conducts novel-writing workshops at bookstores and libraries. Please give a big welcome to BRIAN KNACK. rem: Brian is somewhat of a computer genius [compared to yours truly] and he is very knowledgeable about Indie publishing as well, and offers help for authors becoming authorpreneurs. I know, I’ve benefitted from that assistance. He and his wife are personal friends of mine. Please give a big welcome to Brian Knack! Hi Brian, tell us a little about yourself. Where were you raised? Where do you live now? Brian: I was born and raised in a small Hamlet in upstate NY called White Sulphur Springs. I was raised by my paternal grandparents from 18 months on and grew up on a dairy farm. Yes, I know how and have milked many cows. I’ve also raised chickens, pigs, ducks, rabbits and even an emu. I even had a rather large 50 ft. by 100ft. garden. I am and always shall be a country boy. My wife and I recently moved into a beautiful house in Simpsonville, SC. rem: So, it’s safe to say there will likely be a garden on the property next spring. And congratulations on the new house! Tell us three things about yourself. I love winter and miss real, knee-deep snow. I’m a very quiet person and a people watcher. Give me the mountains over the beach any day. rem: We’ve two out of three of those in common. Which book have you read the most in your lifetime? rem: Always a good read. What is your most treasured possession? Brian: My father passed away last year and I got his fishing pole. I guess I’d have to say that. Everything else can be replaced. rem: Sorry to hear about your father. What is your favorite quotation and why? It explains exactly how the Church is supposed to be. Sadly, for the most part, we fall far short. Brian: Above all else brutal honesty and integrity. rem: I agree. Spoken in love of course. What quality do you most admire in a man or woman? Brian: Sincerity. Just be who you are. Don’t try to impress me by being who you think I want you to be. Just be you. Brian: Huh? Rou – who? LOL… I write when I write and when I write, I write. It works for me. I have no set routine. That’s not how I am. I may not write for days and then have a moment of inspiration and write ten or more thousand words in a day. rem: ROFLOLOLOL I’m rather like that as well. What are your Top Writing Tips? There is no such thing as writers block. It’s nothing more than an excuse not to write. Just write even if it’s merely random thoughts… WRITE! Some of my best stuff has come from a slew of weird gibberish. DO NOT OBSSESS OVER OTHER PEOPLES OPINIONS. They are merely their opinions based on their personal preferences. Critics don’t matter and neither do publishers or editors. The only opinions that matter are yours and those of your readers. That’s it. rem: Great tips! Tell us a little about your writing journey. Brian: Hahaha… Oh my… That’s quite a long story. Let me give you the Cliff’s Notes. I went to school for Aerospace Engineering. Yes I wanted to be an Engineer/Astronaut. Didn’t finish. Came to the knowledge of Jesus as my saviour 2 years later on April 11, 1994. From that day on God had me writing and journaling. rem: Not terribly unlike my thwarted venture into architecture… What do you enjoy most about being a writer? Brian: For the fiction, creating the worlds I see in my head. For the non-fiction, using my experience and skills to help others. rem: A-to-the-MEN! What was the hardest thing about publishing? The easiest? Brian: Hardest – formatting. Easiest – publishing to Amazon. rem: But you’re such a formatting genius… What advice would you give to aspiring authors for writing and/or publishing? Brian: For writing see “Top Writing Tips.” For publishing the best advice I can give you is don’t expect to become a best seller overnight. 99% of overnight successes happened over a period of several years. Continue forward and improve your craft during each step. The day will come and BAM!! – You’re an overnight success. rem: BAM! So “overnight success” is a fallacy? Who is your favorite hero of fiction? Brian: I would have to say it’s a tie between Captain Nemo and Anakin Skywalker. Both were drawn to the dark side so to speak and did terrible things trying to make a better world. They got lost in the “end justifies the means trap”. Brian: I’ve been an avid reader since I can remember. My grandmother always kept me supplied with books and such. Kindergarten… LOL. Seriously though, in High School about 10th grade. 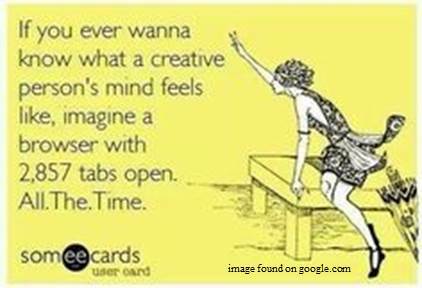 I had a great English teacher who challenged us to use a thing called an imagination. Something sorely lacking in public schools and our youth today. rem: I agree! Reading cannot be overemphasized! If you could choose to be a character in a book, who would it be and why? 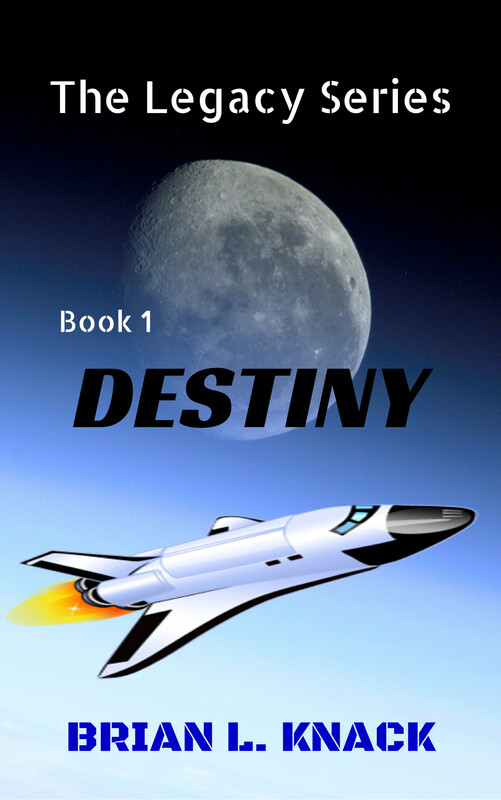 Brian: The main character of Destiny and the Legacy series – Kip Hamilton. He’s a man who is brilliant and a dreamer. In a time when space was viewed as merely the area above our heads he took his dreams of walking on the moon and made it come true and created an empire and a legacy. rem: Perhaps there’s a little bit of you in him… Where do you get your greatest ideas for writing? Brian: God. I get inspired by a book or a TV show or movie or even a news story and then God helps me create an inspired idea. rem: Again, same wavelength, you and I. Tell us a little about your latest book? What is your current project? Brian: I recently published I’m Born Again, Now What? Which is guide for new believers to help them down the path of the Christian walk. I also republished my Southern Yankee Cookbook series. Currently I am working on setting up our new house. My wife and I just moved. 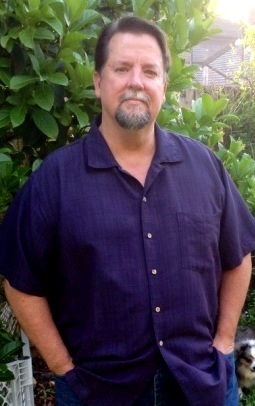 I’m also working on setting up my author website – BrianKnack.Com – and AuthorpreneurUniversity.Com which is dedicated to helping authors create as much income possible from their books. The official launch will be early next year and include a podcast. rem: I’d love to have you back for the launch of your websites! What is one take-away from your book(s) that you hope readers identify with? Brian: That there is always hope and that the old cliché is true, love is the most powerful force in all of creation. rem: You also offer stellar author support – I know, I’ve benefited from that support! – tell us about that. What drew you to that facet of writing and what all does it entail? Brian: Author support – I’m a teacher. That’s how God made me so it’s what I do best. I’ve learned a lot in my 7 years of self-publishing and just like sharing it with others to help them do the best they can. I’ve helped authors from story and book development straight on through to the actual publishing and marketing. I’m looking at boiling it down to a complete consulting package from beginning to end. Just trying to boil down all the details. Brian: Last year I started being drawn towards my childhood Sci-Fi shows and started watching them online. While doing so I started reading a few self-published sci-fi books from Amazon and noticed a theme running through them – the bulk of them portray bleak post-apocalyptic and dystopian worlds. I wanted to introduce some sci-fi that showed you a world devastated but full of hope and a future. Destiny was born! As I was writing it the other 4 books were starting to take form creating The Legacy Series. The rest of this year I plan on revamping Destiny and finishing up at least the next two books in the series – Project Gideon and Tycho City. rem: You also have some non-fiction titles available. Talk about those for a minute. Brian: In 2008 I started writing short devotionals and sending to a few friends on my e-mail list. Several of those friends suggested I turn them into a book. In 2009 I published Made for W.A.R. 52 Weeks of Wisdom And Revelation with an unscrupulous publisher. It was a seven year contract so they have the writes to it. In 2010 I began blogging and in 2012 God had me self-publish Made for W.A.R. 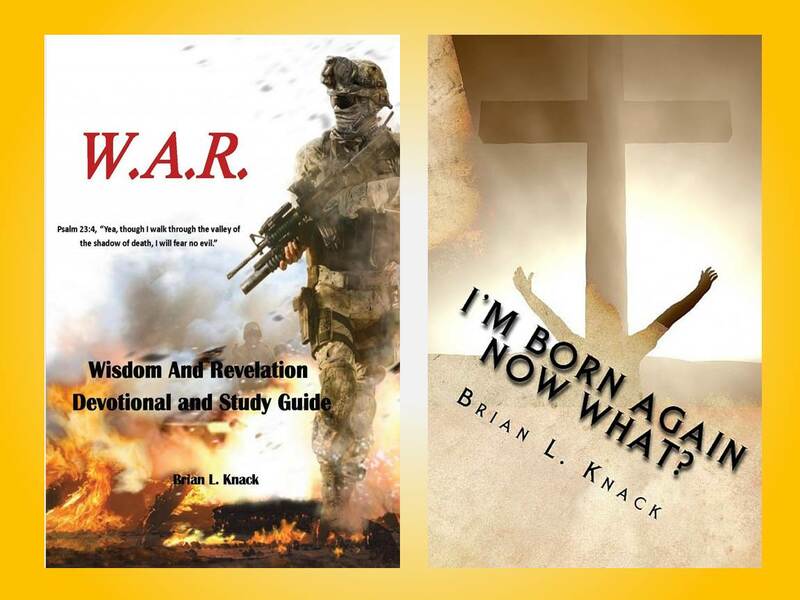 as WAR Devotional and Study Guide with updated content a study guide after each devotion and a new cover and title. In 2013 I decide to put together a series of cookbooks fusing my Catskill Mountains country cooking with the southern home cooking I had learned in the south. I call it Southern Yankee Cooking and includes volumes for Desserts, Casseroles, Slow Cooker and Barbecue, Appetizers & Beverages, Breads and Soups, and Salads, Sides and Main Dishes. Last year I published I’m Born Again, Now What? Which is devotional and guide for new believers to help them down the path of the Christian walk. Camille Iverness was no stranger to solitude. She was no orphan, but her mother left when she was a girl, and her father, well, he wasn’t around much either. As a young woman, it was she who ran the family shop. And dealt with questionable clients when her father wasn’t around. Camille was no stranger to threats and danger, either. 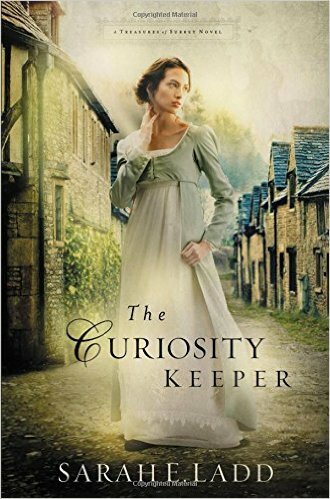 As the second born son, Jonathan Gilchrist is content to not inherit his father’s estate, Kettering Hall, even accepting of his father’s contempt for his chosen profession: village apothecary. Until his elder brother died. Now, Jonathan is faced not only with the inheritance he didn’t want, he and his father are forced to come to terms. And when a priceless treasure goes missing, it is Jonathan who is appointed to reclaim it. Camille and Jonathan’s paths crisscross, with the ruby, called The Bevoy, at the intersection. How can a jewel she has never seen cost her what little she has? And how can the same jewel propel Jonathan to what he never wanted to begin with? And what does it mean for both of their futures? Together, they set out to find the missing gem, Camille to extricate herself from a web that threatens her simple life, Jonathan to appease his father. Ms. Ladd has once again woven a spell-binding tale. With characters who are real, both sympathetic and deceitful – and violent – and unexpected twists, the story pulls the reader in and holds fast. Every word has a melody. Every sentence has a rhythm. This truth has intrigued me since my early years. Even before I fully understood the meaning behind many of the words, I devoured literature and consumed poetry. Austen, Alcott, Wordsworth: I left no piece of literature untouched, left no author unexamined. I continue to see magic in how a word is transformed by the word next to it and how written thoughts can incite emotion and evoke change. In addition to a lifetime of writing and exploring fiction, I have more than ten years of strategic marketing and brand management experience, including five years of marketing non-fiction books and three years of marketing the musical arts. I live in Indiana and am blessed to share my life with my amazing husband, sweet daughter, and very lovable Golden Retriever. 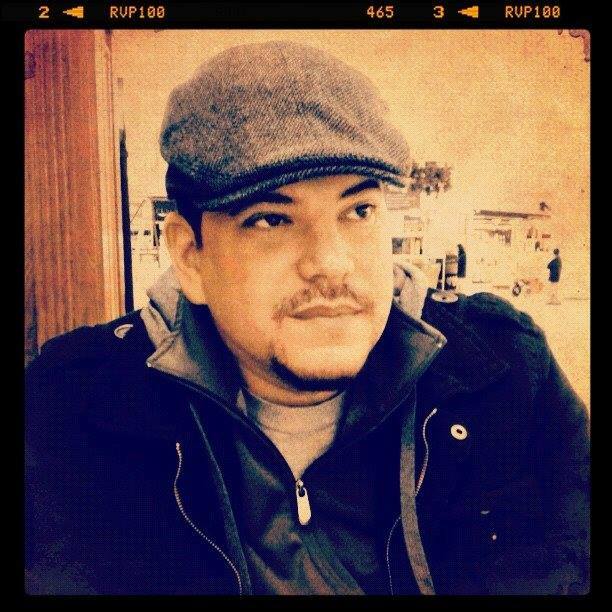 Please give a big welcome to MARC GARCIA. Por favor, da un gran bienvenido a MARC GARCIA. NOTE: This interview is challenging to me because it is in both Spanish and English. I do speak Spanish but had help with the translation of both questions and answers. I am proud to part of Marc, and his wife Blanca’s ministry, and am blessed to call them my friends. NOTA: Este entrevista está desafiante para mí porque está en español y ingles. Hablo español, pero tuve ayuda con la traducción, las preguntas y las repuestas. Tengo orgullo ser parte del ministerio de Marc y su esposa, Blanca, y estoy bendecida llamarlos mis amigos. rem: Welcome Marc! Tell us a little about yourself. Where were you raised? Where do you live now? Bienvenido Marc! Cuentenos un poco de usted. ¿Donde fue criado? ¿Donde vive ahora? MARC: Well, the joke is I was raised in New York, the capital of Puerto Rico. Now, I live in the beautiful city of Greer, South Carolina. But there are only 2 other places. During my time in the Navy, I lived in Virginia Beach, I returned to New York and after a few years my wife and I moved to North Carolina for 7 years. Pues el chiste es que fui criado en Nueva York el capital de Puerto Rico. Ahora vivo en la bella ciudad de Greer, Carolina del Sur. Pero esto es tan solamente 2 lugares de otras. Durante mi tiempo en el Navy viví en Virginia Beach regrese a Nueva York y después de unos años mi esposa y yo nos mudamos para Carolina del Norte donde vivimos por 7 años. Cuentenos tres cosas de usted. I love my God and Creator. I love my beautiful wife. I love the purpose God has placed within me. Amo a mi Dios y creador. Amo a mi bella esposa. Amo el propósito que Dios ha depositado en mi. ¿Qué es su posesión mas valiosa? MARC: My relationship with God, because without that I can do nothing, but with Him all things are possible. Mi relación con mi Dios, porque sin ella no puedo hacer ningún otra cosa, pero con ella todo me es posible. ¿Qué es su miedo mas grande? MARC: I don’t fear anything, but my greatest insecurity – is failure. Failure of my purpose. No tengo un temor, pero si te cuento mi mas grande inseguridad – es el fracaso. El fracaso de mi proposito. ¿Qué es su mayor arrepentimiento? MARC: My greatest regret is not having the understanding of life when I was younger. As well, the knowledge I do have now as a father compared to when I started with my son. Mi mayor arrepentimiento es no tener el entendimiento que tengo ahora de la vida cuando era mas joven. Aun el conocimiento que tengo ahora como padre comparado cuando comencé con mi hijo. rem: What is your favorite quotation and why? ¿Qué es su cita favorite y por que? MARC: My favorite quotation is what John Maxwell says about leadership, “Everything rises and falls on leadership.” I did not understand this until recently. I heard it and liked it, but it was not until a year ago that I understood it. It is saying that what the leader exalts, his followers will exalt also; what the leader despises, his followers will despise. Mi cita favorita es por John Maxwell acerca del liderazgo que dice; Todo se levanta y cae desde el liderazgo. “Everything rises and falls on leadership”. No lo habia entendido hasta recién. Lo he escuchado y me gustaba pero no era hasta un año atrás que lo podía entender. Lo que está diciendo es que lo que el líder exalta, los seguidores exaltaran, lo que el líder menosprecia los seguidores menospreciaran. rem: What do you most value in a friend? ¿Que estima mas en un amigo/a? MARC: I value transparency in a friend. For a person to be transparent and real, without putting on a front to impress, nor with such humility that they lose their effectiveness. El valor que estimo en un amigo/a es transparencia. Que la persona sea transparente y real, sin poner una frontera para impresionar ni ser tan humilde que pierda su efectividad. ¿Qué calidad admira mas en un hombre o una mujer? MARC: The quality I favor in my wife is what I admire, that is thirst for God. La calidad que favorezco en mi esposa es lo cual admiro, lo cual es la sed de Dios. ¿Perros o gatos? ¿Cual prefiere? MARC: Dogs – I do not like cats. I have had bad experiences with cats. Even before that, I never liked cats. Sorry – I know you like cats. Perros – no me gusta los gatos. Ha tenido malas experiencias con gatos. Pero aun antes nunca me gustaba los gatos. Sorry – se que a usted le gusta. ¿Quien es su heroe favorito de ficción? MARC: My non-fictional hero is Jesus first, but if you ask about a hero like of superheroes I would say Batman. Mi heroe de no ficcion es Jesus primero, pero si me pregunta acerca de un héroe como de los superhéroes diría – Batman. rem: Tell us a little about your latest book. Cuentenos un poco de su último libro. MARC: The last released is entitled Prosperity, The Design of the God Who Supples. In it I talk about the fact that God is provider, and in His design for us as the Great Architect, He has provided for each one of His sons and daughters all that we need in 5 areas of our lives: spirit, soul, body, social life, and finances. What I am working to finish is entitled The Balanced Life – Understanding the Balance between Grace and the Law. I know this book will challenge many. I have discovered that the Ten Commandments, The Law of Moses, and the ceremonial law, are 3 different and distinct things. The grace we have received through Christ does not nullify them all. You will have to read the book to see which ones. El ultimo lanzado se llama Prosperidad El Diseño del Dios que Suple. Y en ella hablamos acerca de que Dios es el suplidor y en su diseño de nosotros como gran arquitectura El ha suplido a cada uno de sus hijos/as con lo que necesitan en 5 áreas de nuestras vidas. Espíritu, Alma, Cuerpo, Vida Social y Finanzas. La que estoy trabajando para terminar se llama La Vida Balanceada – Entendiendo el balance entre la gracia y la ley. Se que este libro le va a retar a muchos. He descubierto que los 10 mandamientos, la Ley de Moisés y La ley Ceremonial son 3 diferentes y distintas cosas. Por lo cual la gracia que recibimos por medio de Cristo no anula todas. Y pues va a tener que leerlo para ver cuales son. ¿Que es una cosa de la cual desea que el lector se pueda identificar? MARC: With The Balanced Life – Understanding the balance between Grace and the Law, I want the reader to identify with the importance to not nullify it all because that is how it was taught all this time. Rather that they could understand that there is so much more than that, that there is more than just grace. Many have taken grace as license to do what they desire to do, which was NEVER the intention of God. Con la de La Vida Balanceada – Entendiendo el balance entre la gracia y la ley, quiero que el lector se identifica con la importancia de no anular todo porque asi se nos ha enseñado todo este tiempo. Sino que ellos puedan entender que hay mas que eso, que hay mas que solamente la gracia. Muchos han tomado la gracia por una licencia para hacer lo que desean lo cual NUNCA era la intención de Dios. rem: Most of my interviewees are authors who may or may not work another job. You, however, are an author secondary to your primary calling. Talk a little bit about your role as a Pastor and Apostle. Mayormente los autores que entrevisto quiza tengan otros trabajo. Sin embargo usted es autor segunadrio a su llamado primordial. Cuentenos un poco de su rol como Pastor y Apostól. MARC: My role as Apostle or Pastor depends on which camp you grew up in, is together with being an author. The books I write are based on a sermon God has given me, but my books can be more detailed than what I can share in a service on Sunday. Because my hope is that the reader will desire to go deeper. It is not that those that come to our services don’t want to go deeper, but I have learned that my level of communication must be applicable to the audience. As an Apostle, we help ministries to launch, begin, and maintain their ministry. My work as an Apostle is to support those who see me as their apostle, or leader. Not to direct their ministry, rather to help them, to support the in what GOD has told them to do. For many this is difficult. Because the question is, “What do I do if I see a leader about to make a bad decision? Depending on the error, if it is something that disqualifies them as a leader, I will tell them. But if it is not, I let them be, because it is through those experiences where they will understand more and grow. If I give them the answer sooner or later they will repeat it because the lesson was not revealed. Mi rol como Apóstol o pastor depende en que campamento creció, es junto con la de ser autor. Yo escribo mis libros basado en una predica que Dios me ha dado, pero en mis libros puedo ir un poco mas detallado que puedo en un servicio de domingo. Porque mi esperanza es que el lector va a desear ir mas profundo. No es que aquellos que vienen a nuestros servicio no quieren ir mas profundo, pero he aprendido que mi nivel de comunicación se tiene que ser aplicable para la audiencia. Como apóstol, ayudamos a ministerios lanzar, comenzar, seguir en su ministerio. Mi obra como apóstol es apoyar aquellos que me ven como su apóstol, o líder. No dirigir su ministerio, sino ayudarlos, apoyarlos en lo que DIOS le ha dicho a ellos hacer. Para muchos esto es difícil. Porque la pregunta seria, “¿que hago si veo un líder a punto de tomar una decisión errónea?” Depende el error, si es algo que le puede descalificar como líder se lo digo, pero si no es, pues les dejo, porque es por medio de esas vivencias donde el/ella va a entender un poco mas y crecer. Si les doy la contestación tarde o temprano lo van a repetir porque la lección no ha sido enseñado. rem: I know you are highly involved in community and bringing people together. Being bilingual I think has highlighted a great need to effect connections and community. How has that driven you toward this goal and how does it affect the outcome? Sé que está muy involucrado en la comunidad, y uniendo al pueblo. Siendo bilingual creo que ha puesto en luz una gran necesidad de efectuar conexiones y comunidad. ¿Cómo lo ha impulsado hacia esta meta y cómo afecta el resultado? MARC: When God gives you a mandate, as a good soldier you take it and obey it. In the beginning of having arrived, God put a stop in our path and ardent desire to start ministry when He said the first year we are not going to do any ministry. We would get to know the community, we were to work to have lines of communication with people of influence in the community. It has been nearly 3 years, and we are still doing this. But, also, we have begun ministry. What I am saying is, I believe had we not taken the mandate of God in the beginning, many of the doors God opened, would not have happened. The goal has always has been, to impact the community. Not only Hispanic, but also those who are not Hispanic. To be the bridge connecting the two, because we understand both sides. Cuando Dios te da un mandato, como buen soldado lo tomas y es obediente a ella. Al comenzar de nosotros llegar Dios nos hizo un alto en el camino y el deseo ardiente de comenzar el ministerio cuando nos dijo, el primer año no van hacer nada de ministerio. Van a conocer la comunidad, van a trabajar para hacer lazos de comunicación con personas de influencia en la comunidad. Ha pasado casi 3 años y todavía seguimos con eso. Pero también hemos comenzado el ministerio. Lo que digo es que, creo que si no hubiéramos tomado el mandato de Dios al comienzo, muchas de las puertas que nos ha abierto Dios no hubiera sucedido. La meta a siempre sido, hacer un impacto en la comunidad. No tan solamente hispano pero también aquellos que no son hispano. Ser el puente ligando las dos, porque entendemos los dos lados. rem: What can you tell us of the history of The Bridge, and how it transitioned from Iglesia Dominio? ¿Que nos puede decir de la historia de El Puente, y de la transición desde Iglesia Dominio? This is bilingual, so that you can see the heart, and the prophetic words spoken over us that reveal the necessity of the transition. When we came, Iglesia Dominio was our identity for us. We had to establish dominion. We had to understand our personal identity of dominion. But just as the Word of God shows us – those that understand their position of dominion, have to also be a bridge for those who do not understand their dominion. One of the key words God gave us was that we would be a bridge for those that speak English and those that speak Spanish. The transition is a step of obedience what had been told to us but we had not yet entered. On the practical side, the transition has not been easy. It’s like starting everything new. But even so we have seen the hand of God working in our midst, His favor before us and powerful doors opening. Truly God has been good. Alli lo cual es bilingüe, va a poder ver el corazón y las palabras proféticas declarado sobre nosotros que revela la necesidad de la transición. Cuando llegamos Iglesia Dominio era nuestra identidad. Tuvimos que establecer dominio. Tuvimos que entender nuestra identidad personal de dominio. Pero tal como nos muestra la Palabra de Dios – aquellos que entienden su posición de dominio también tienen que ser un puente para aquellos que no entienden su dominio. Una de las palabras claves que Dios nos dio era acerca que íbamos ser un puente para aquellos que hablan ingles y aquellos que hablen español. La transición es un paso de obediencia a lo que ya se nos dijo pero no hemos entrado en ella todavía. En lo practico, la transición no ha sido fácil. Es como comenzar de nuevo todo. Pero aun hemos visto la mano de Dios obrando en medio nuestro, el favor de El por delante, y puertas poderosas abrirse. Ciertamente Dios ha sido bueno.